"Without people to work with them, robots aren't useful." It's no wonder that human warehouse workers are afraid for their jobs. They've been told over and over again how robots will be faster and cheaper, inevitably displacing people without the necessary skills and experience to compete. This is the center of the robots and jobs debate, and the assumption has always been that the introduction of robots will mean the beginning of the end for human workers in jobs like warehouse fulfillment. 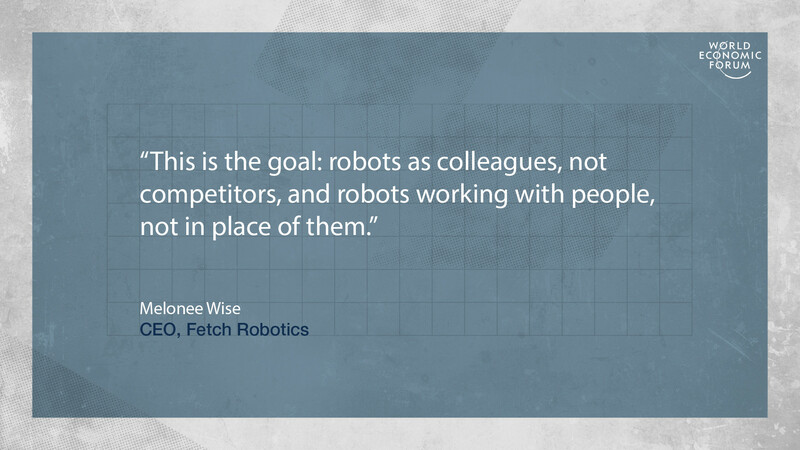 Since 2014, Fetch Robotics has been deploying fleets of autonomous mobile robots in warehouses around the world. These robots (small wheeled platforms that carry containers or shelves) assist humans with picking and material transport tasks, minimizing heavy lifting and long-distance walking, and helping humans work more efficiently. Our robots are at the forefront of a shift towards collaborative automation, but they're not a threat to human workers. We know from experience that logistics companies embrace our technology with the goal of helping their human workers be more productive, rather than replacing them entirely. However, it's not always easy to communicate this to workers who have been hearing for years that their robotic replacement is imminent. Introducing robots into a workplace can be a complex and dynamic undertaking. While it may start with workers feeling like their jobs are being threatened, the end result is a warehouse full of happier, healthier humans who remain the centerpiece of a competitive business. We'll take you through the five unique stages of this process. "Obviously, people were nervous that we were going to be replacing them with robots— that they were going to lose their jobs," says Cindy Traver, Vice President of Operations at RK Logistics. At DHL in the Netherlands, Denis Niezgoda, DHL’s Robotics Accelerator Lead, explains that "human-machine interaction only works if both parties are accepting each other— you can bring the best technology into a warehouse, but nothing will work out if the workforce is not accepting of the technology." Nichole Iniguez, a Material Handler III at RK Logistics, says: "In the beginning, they told us, 'this is what the robots are going to be used for, they're not going to take over your job. They're here to help you.' And that put me at ease." Once the robots arrive, the fear of job loss is replaced by stage two, apprehension. Workers see that their jobs are safe, but that there will be significant changes to how things are run. Common questions about the robots include, "how do I work with it?" And, "am I even qualified to use this?" The fundamental issue is now one of competence. Even if employees aren't afraid of being replaced, the worry is that they will somehow be unqualified to interact with new, seemingly sophisticated technology. The fleet of autonomous mobile robots from Fetch Robotics helps to mitigate this apprehension stage with their inherent simplicity. "When we heard 'robot,' we were worried that this thing was going to be really smart and do a lot of work," says Iniguez. "But when we finally saw it, we were like, okay, this robot just takes things from one place to another. And that's it." Even employees who are initially skeptical quickly recognize that the robots are collaborative. Without people to work with them, the robots aren't useful, and an employee working with robots is much more valuable than they were before, as Traver explains: "As an example, for an employee to have to walk from one side of the warehouse all the way to the other side is not necessarily something that an employee is bringing value to. They could be focusing more on their core competencies." Since the necessary training to use the Fetch system is so minimal, employees are able to get comfortable with how to use robots almost immediately, says Niezgoda from DHL. "We show employees very quickly how easy it is to interact with the robot, what they need to do actually control the robot, and that makes them very curious." Stage three is of course curiosity. It happens within just a few hours of the robots being first introduced into the warehouse. Once the employees understand what the robots are designed to do and how to operate them, there's an experimentation phase. Since the robots are completely autonomous but operate without any physical control infrastructure, it's tempting to see what kinds of things they'll react to. The most common experiment is to jump out in front of them to see if they'll stop (they do). People also like experimenting with obstacles, often using them to block a robot's path. "Our favorite thing is when two robots meet and they're trying to pass each other in the same aisle," says Iniguez. "That's always fun to watch." When the novelty wears off (this takes anywhere from a few days to a few weeks) and employees become accustomed to the robots' behavior and functionality, the next stage is tolerance. 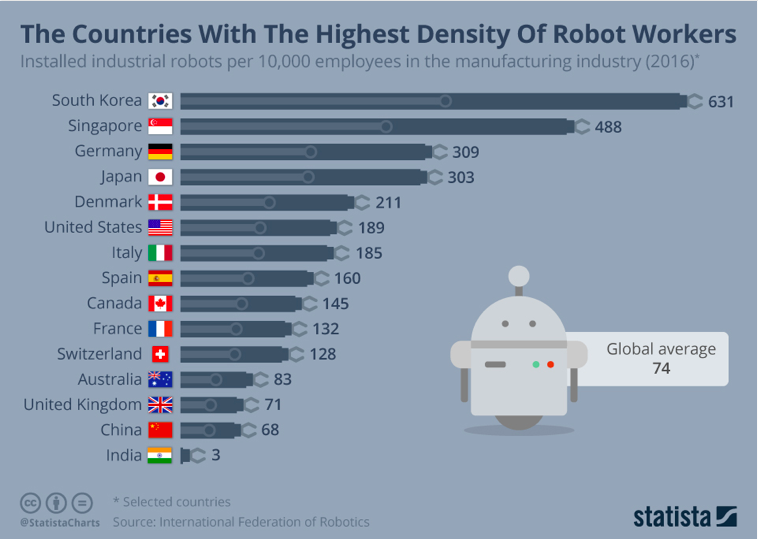 The tolerance stage correlates with increases in both utilization rates and productivity, as employees start using the robots more and begin to view them as tools. At DHL, "at the very beginning, people didn't remember that the robots were there to be used, but over a couple days the utilization rate increased as people got familiar with the robot as a tool. Within a month or so, everyone had a mentality of, this is just another type of equipment that we use," Niezgoda says. Just like with any other versatile tool, it's often the case that employees who use the robots on a daily basis have suggestions for ways in which they can be utilized more effectively, or in completely different ways. "Once the robots came in and the employees got comfortable with them," says Traver at RK Logistics, "then I think exploring different options of how we could use them and letting people have a voice made them feel more a part of the process." The final stage is satisfaction, where the robots become not just tools, but co-workers that are an integral part of the warehouse. This makes the job experience better for the humans who work with them. It's easy to tell when this stage is reached, because the humans begin to anthropomorphize the robots, ascribing human-like personalities or emotions to specific robots that seem like they're a little bit different from the others. It's at this point where the robots start to transition from novelties to useful tools, and even valued co-workers. "When robots have to go and charge, we really miss them," Iniguez says. "We always forget how much they do for us." "From our perspective," says Traver at RK Logistics, "I think the future for the robots is that they'll help us do more things within our organization side by side with humans, especially as the labour market continues to get tighter and tighter in California." Niezgoda at DHL agrees: "The countries in which we're using robots are where we're struggling to get workers into our warehouses, and we try to explain that to help our employees to understand the big picture and why we're starting to deploy robots." The reality of robots entering the workforce is more nuanced than much of the recent media coverage might suggest. It's not just that this is already happening; it's already happening in ways that are sustainable and positive for both companies and their employees.